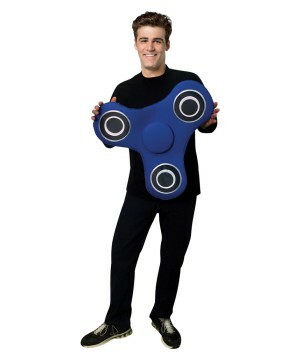 Fidget Spinner Costume features a giant blue spinner attached to a black vest with neck and waist ties. The spinner is 24' in diameter and actually spins. Designed to fit both kids and adults, this costume is fun for all ages! Made from Polyester material. As a new craze hits town, it's time to make a costume out of it. Fidget Spinner edition! 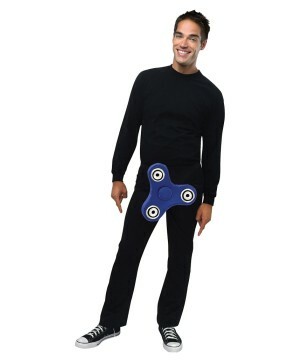 This costume features a black vest with neck and waist ties that attach to a giant blue spinner measuring 24 inches. This spinner actually spins for a realistic effect. Costume is designed to fit all ages from children to adults. 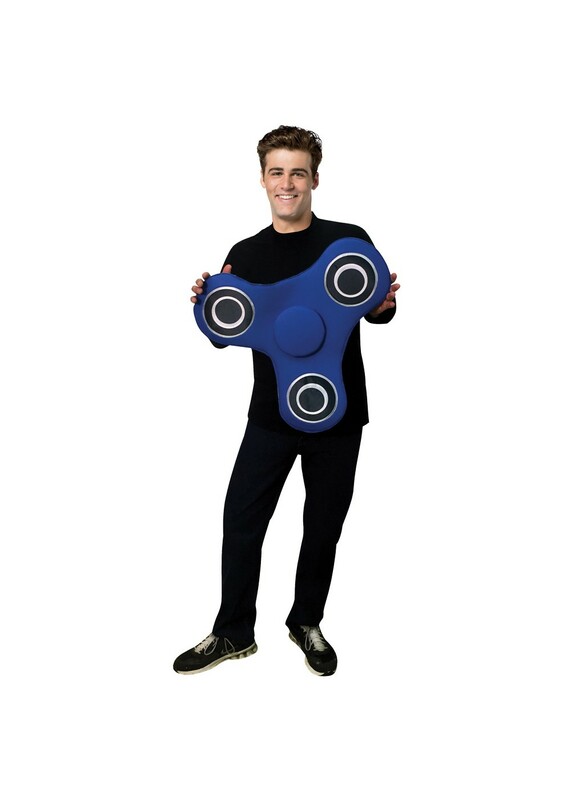 Anyone can enjoy wearing this and it's also fun for other people as they get to spin a giant Fidget Spinner! Add your own top and pants. Made from soft polyester material, this costume is comfortable to wear and you'll definitely be a hit this Halloween! Review(s) for " Fidget Spinner Costume"